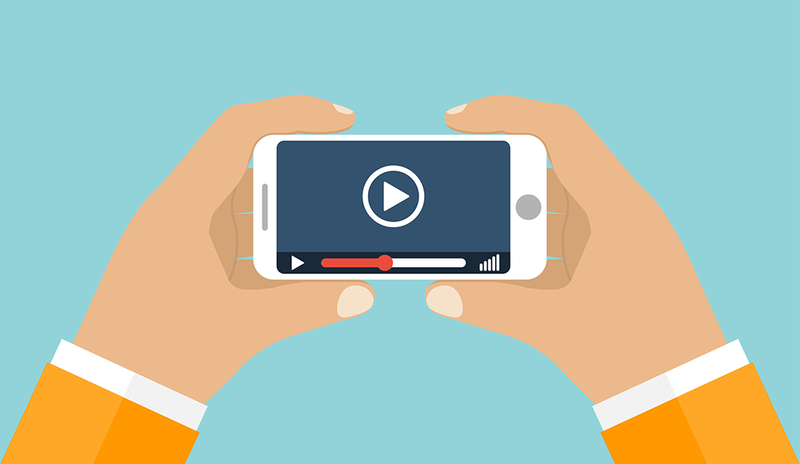 Did you know that videos lead to a 200-300 percent increase in click-through rates for emails? Or that adding video to a landing page increases conversion by 80 percent? At Premier Staffing, we wanted to test these metrics and see if video could help us drive engagement with prospective job seekers and hiring managers, so we began using the custom video app OneMob. We’ve found that personalized videos can change the way organizations, job seekers, and recruiters communicate and connect. If you’re a job seeker in a competitive job market, you can give hiring managers a better look at yourself as a living, breathing human being by introducing yourself and your professional background through video. A 30-60 second video introduction about your background and why you’re a fit for the role is a great differentiator. At Premier, we use video to allow hiring managers to preview prospective candidates to determine if they are interested in interviewing them. If a candidate’s resume is light on required experience, a video introduction can often be enough to convince hiring managers to give them a shot in the interview – because ultimately, people hire people, not resumes. Our recruiters themselves also use OneMob to send brief personalized videos to job seekers to describe new roles and why they fit a candidate’s background and career goals. We know that prospective candidates are more receptive to learning about new opportunities after receiving this personalized message. As with all marketing messages, personalization is key! When a recruiter identifies and assesses a person’s specific skills and attributes and then reaches out personally, the candidate views the recruiter as more credible. It’s not spam – it’s a message about you, your skills, and your professional background. And as we all know, that kind of credibility is necessary if recruiters want to form long-lasting relationships with candidates. Just as agency recruiters use video to enlarge their candidate pipelines, so can your organization. Does your sales or customer service team need to scale quickly? Have your department leader film a video to prospective employees describing why they should consider this opportunity and apply for a role at your company. Through video, your leader’s energy and enthusiasm for your organization will be contagious, increasing interest in your company and applications for that role. Place this video on a landing page on your website alongside the job description and an easy application form. Ideally, you should also include a company-branded video about your organization and why your employees love working there. Then do a social media campaign to reach your target candidates. Post your video accompanied by a link to your landing page. These are inexpensive, yet highly effective techniques to increase interest in your company and capture candidates above the funnel. Forget traditional thank-you notes. Following an in-person interview, a candidate can send a personalized video thank-you to the hiring manager that further articulates why they’re excited about the role. That’s far more engaging than a regular email! Hiring managers can also use video to follow up with their ideal candidates and seal the deal. How many competitors will be sending similar messages? Very few! As you can see, video is making big waves in the recruiting and hiring world. How will you use it to change the way you look for jobs or attract candidates? Amy Hannis King is SVP, marketing, for Premier Staffing, a San Francisco-based recruiting firm placing on-demand top talent in amazing companies throughout the Bay Area and New York City. Amy is passionate about Premier's mission to change lives through opportunity and also leads Premier's philanthropic efforts through Premier Promise. Nimesh Gupta is a cofounder at OneMob, a software company based in San Francisco that provides every business worker in the world with a platform to tell their story through video. Nimesh is passionate about giving everyone a voice through video and is excited about leveraging consumer trends in the enterprise. Try OneMob today at onemob.com!